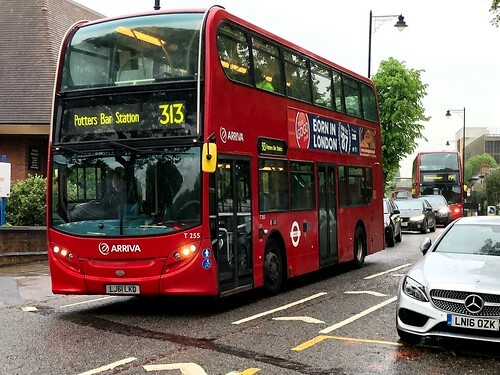 Prior to this date the 313 had been a London Country route running between Enfield Town and St Albans. The section between Potters Bar and St Albans was covered by revised 84 which was transferred to London Country. 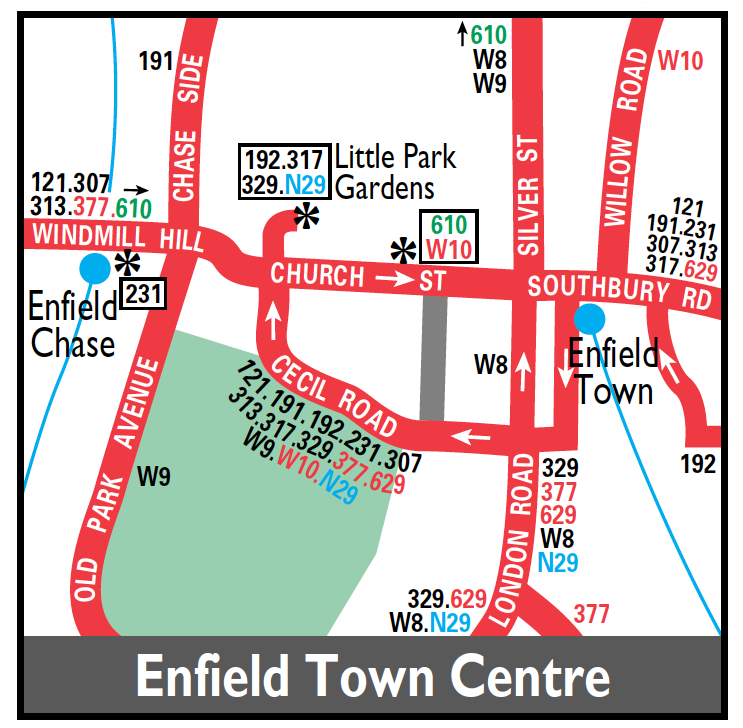 Rerouted westbound in Enfield to operate a loop via Sydney Road - The Town - and London Road. Withdrawn between the Lion and Cranbourne Road except for special journeys. Rerouted northbound at Chase Farm Hospital via Lavender Hill - Hunters Way - and hospital grounds instead of The Ridgeway. The peak journeys to Cranbourne Road extended to the Industrial Estate. Mon-Fri daytime withdrawn between Potters Bar Station and Industrial Estate. SDO journeys diverted via Dame Alice Owen School replaced by a double deck journey in each peak Potters Bar Station to Dame Alice Owen School. These journeys operated by Leaside Travel. New low floor single deck introduction. Crew changeover point at ?